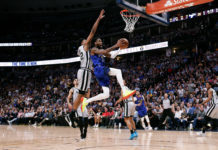 According to Adrian Wojnarowski of ESPN, the Denver Nuggets have traded Kenneth Faried, Darrell Arthur, a 2019 first-round pick that is protected 1-12, and a future second-round pick to the Brooklyn Nets for Isaiah Whitehead, who they promptly waived after acquiring him. This move was a clear salary dump for the Nuggets that, between luxury tax and salary, saves Denver a massive $43 million and brings Denver to $8.6 million under the luxury tax line. 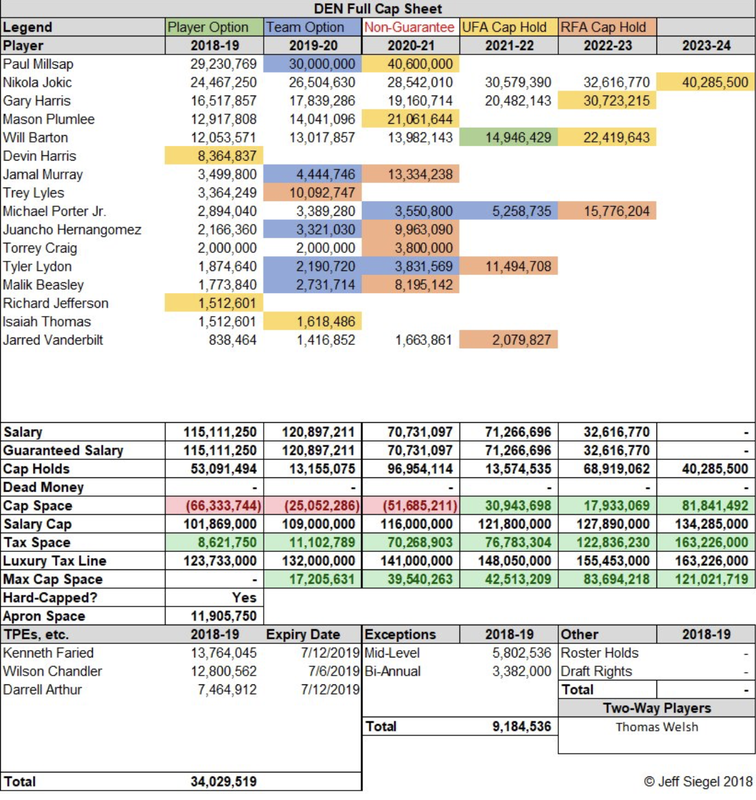 Here is the Nuggets full cap sheet below curtesy of Jeff Siegel of EarlyBirdRights.com. It is hard not to love the job that Tim Connelly and his staff have done this offseason. 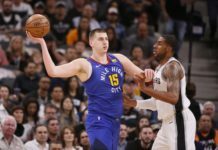 They knew they were going to have an exorbitant amount of salary after signing both Nikola Jokic and Will Barton to nearly $200 million in combined salary, but they stayed calm and were able to clear Kenneth Faried, Darrell Arthur, and Wilson Chandler — who were worth a combined $34,029,519 in salary. The Nuggets front office also managed to completely clear a potential $54 million luxury tax bill in just two trades while only losing two second-round picks and a single first-round pick with protections on it. That is masterful work. As a cherry on top, Denver did not send out any of their young players at all. 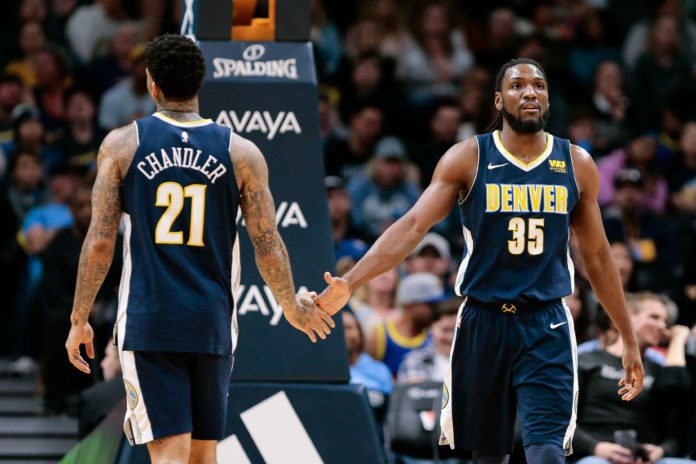 For Denver to clear three players with large salaries by only giving up one first-round pick and none of Trey Lyles, Malik Beasley, Monte Morris, Juancho Hernangomez, or Tyler Lydon was fantastic work by the Nuggets front office. Denver now has $5.8 million of their mid-level exception left and their full bi-annuel exception, worth up to $3.38 million, to play with and one roster spot still left to be filled. 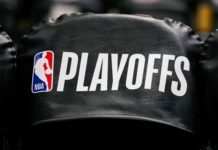 Thanks to this fantastic work by the Nuggets front office, there are still avenues for the Nuggets to continue to improve their roster this offseason.